Several new positions were created this year to provide better service to our customers, set a foundation to handle future departmental expansion and provide career growth opportunities. Senior Implementation Lead (aka Team Lead) – these are IQMS consultants that have Lead dozens of IQMS implementations over the years. This in-office position leads a team of 8-12 Application Specialists or field consultants that are the “boots on the ground”. This role has proved to be an excellent resource for customers by augmenting the field personnel when needed. They also have been critical with our new employee onboarding process. Senior Application Specialists – these are the folks that tackle the larger multi-site ERP implementations. Like the leads above, they have lead dozens of implementations over the years. Senior Application Analysts – this crew is brought in to analyze complex business processes to see if existing EIQ functionality fit or if enhancements are required. They are the experts on new advanced functionality and augment field consultants with implementation support of this functionality. Implementation Support Specialist – this role provides support services for our field personnel and customers that are in active implementations. This is a brand new role in 2013 that is turning into a valuable resource for our field team to take on report writing, testing, label development and set up functions. They also conduct frequent follow up calls with our customers that are in active EIQ implementations. Team Lead – this a senior person that has been involved in many EnterpriseIQ implementation. They typically attend the initial project Kick off and then provide remote support and project management during the implementation. Subject Matter Expert (SME), Manufacturing – these team members focus on the manufacturing side of the implementation. Many of these team members have had prior experience with EIQ or have worked for manufacturing companies prior to joining IQMS. Subject Matter Expert, Accounting – the accounting experts can be brought in to aide in the setup of the General Ledger, financial transaction processing, costing, etc. Implementation Support Specialists assist the implementation remotely and can augment customer personnel with capabilities in report writing, label development, data conversion and work instruction generation. They are also a resource for the customer to contact when their application specialist is on site with other customers. They also can provide additional hands on deck during the go live week. Additional subject matter experts may be brought into an implementation that focus more in areas like E-Commerce or Quality. The team implementation approach brings in the specific SMEs in when they are needed which aides in keeping implementations efficient and on time. 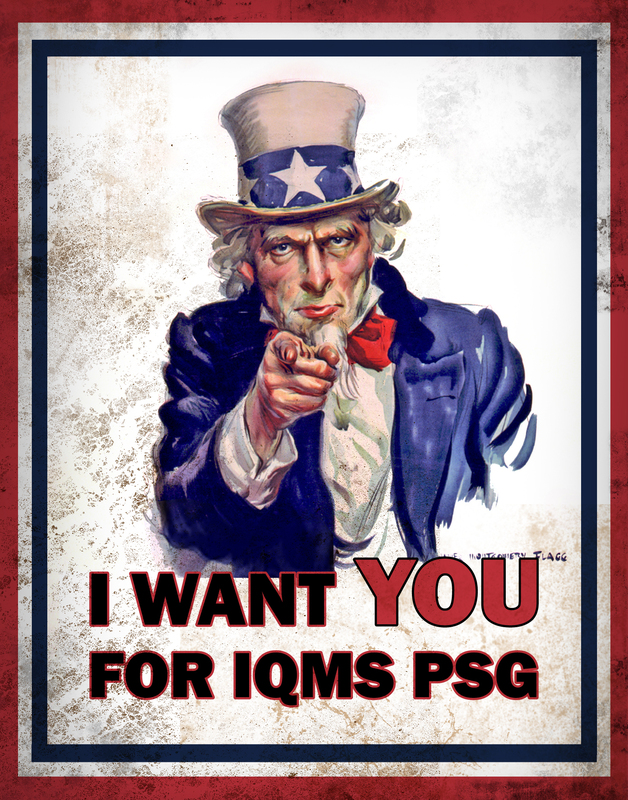 Overall 2013 has been a great year for IQMS and the Professional Services Group and we are well positioned to continue the growth into 2014.